In order to grab your attention and have you follow them on Twitter, some web site owners choose to go beyond a simple “Follow Me” and also display their latest tweets. I don’t know if one method is preferable over the other in order to actually pick up followers, but I thought it might be helpful to take a look at how you can display tweets and also how some designers are making their tweets stand out, or in some cases blend in to the overall design. 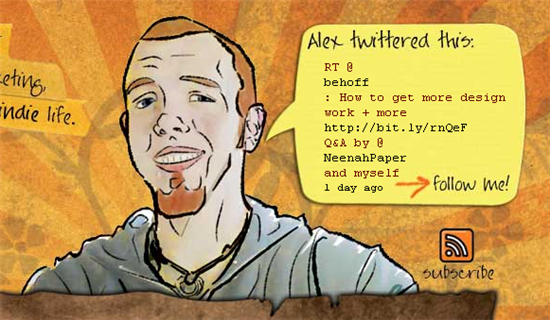 So how do you actually get your tweets to display? Well there are a number of options. 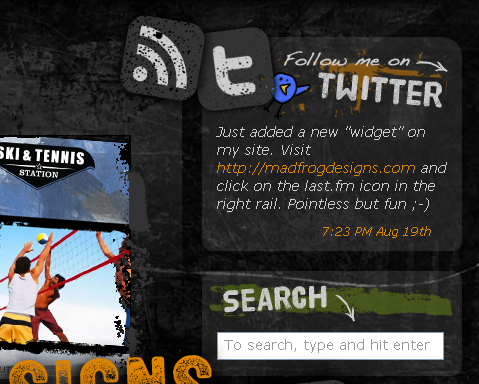 If you’re blogging or using MySpace or Facebook, you can grab a widget to work in the appropriate social media area. 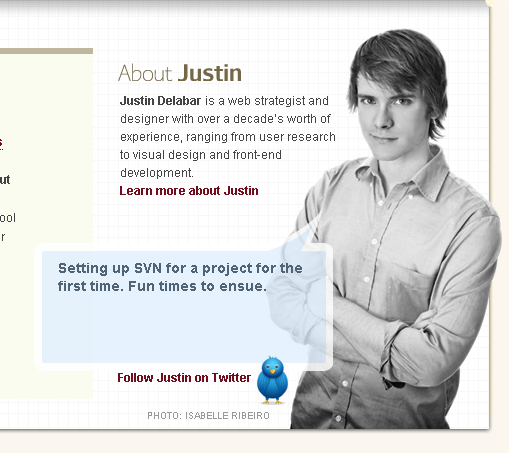 They’re available as Flash or HTML; all you need to do is copy the code and paste it into your site. 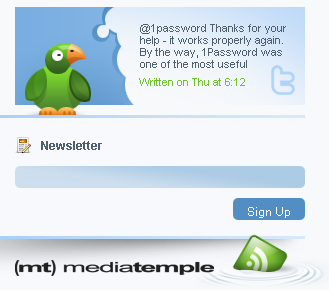 Twitter also provides all users with a profile widget which can be added to most web sites by grabbing the code the provided. You can configure the size, colors and number of updates for your badge in the settings. There are a quite a few of these plugins around which all provide tweet display functionality as well as a few other bells and whistles. 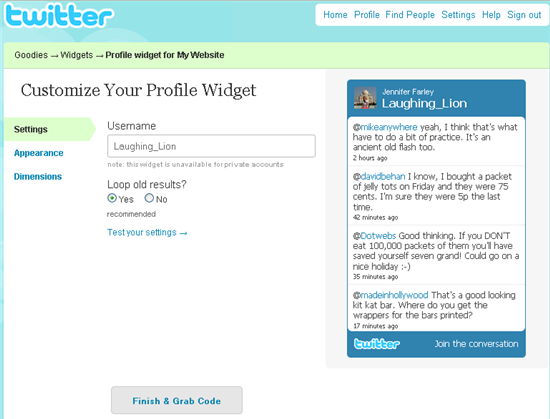 Juitter is a widget which will display tweets to or from a user and has an option to display avatars. TwitStream uses the Twitter Search API to display a list from your twitter feed containing a particular keyword and also displays avatars and URLS. If you want to add your tweets to your WordPress blog, Twitter For WordPress does what is says on the tin, displaying your recent tweets and URLs. Although many sites are displaying tweets, some designers are going that extra mile to incorporate the Twitter feed into their overall design. It’s the attention to detail that makes them interesting to look at. 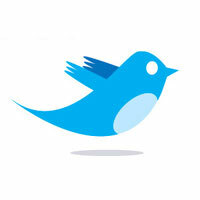 Here are five imaginative examples of Twitter integration. What do you do with your tweets? 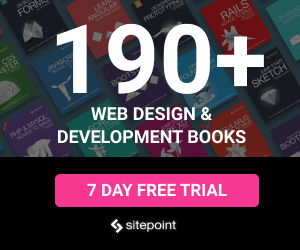 Have you integrated them into your site and what method do you use? Or do you just ask for a follow? Have you seen any other Tweet displays that you liked?